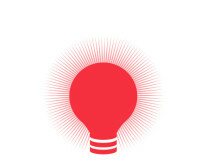 Norwegian has launched another initiative to its sustainability work – Plant for the Future. 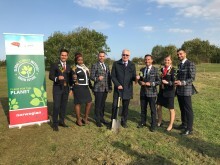 As one of the first airlines in the world Norwegian will plant trees to benefit the environment, which will be done in partnership with the Global Climate Institute. Trees are of immense importance to the global climate as they sequester carbon. 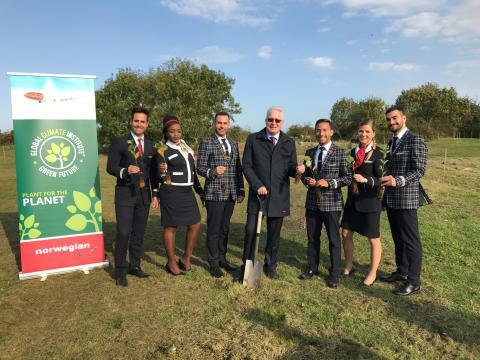 Initially Norwegian will plant one tree for every person working at the airline – 9,000. These trees will be planted in the UK and Spain which are important and growing markets for Norwegian. Later this year Norwegian will plant tens of thousands of trees in other parts of the world. 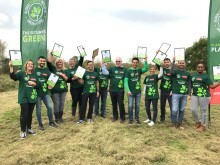 The launch of the initiative took place in Oxford, where a group of Norwegian employees across all areas of the business, planted the first trees. Oxford was a fitting location due to the city’s diversity and rapid expansion as well as it’s forward thinking environmental policies, which reflects Norwegian’s own goals. 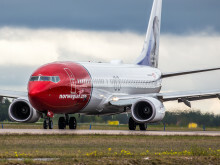 Norwegian will be one of the first airlines in the world to engage in tree planting. “We are happy about the new partnership with Norwegian. There is different quality in the tree planting programs and we have worked with Norwegian to find projects in both the UK and Spain that satisfies the demand for a sustainable solution. Furthermore, it has been an inspiration to see how Norwegian’s employees has shown such great commitment and excitement in planting the first trees. We are looking forward to continuing the journey together in the future”, says Morten. E. Jensen, Project Manager for Global Climate Institute. Norwegian has one of the youngest aircraft fleets in the world with an average age of 3.6 years, making it one of the greenest and most fuel-efficient fleets in the world.